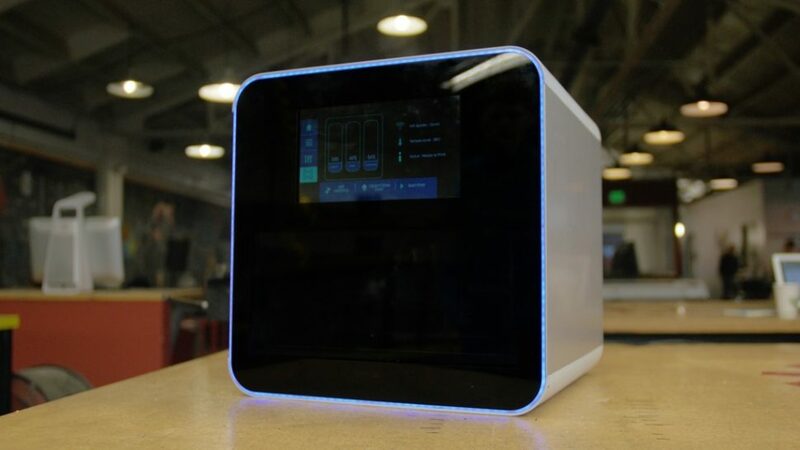 German startup Next Dynamics has announced its NexD1 multi-material 3D printer, and Edgy Labs brings you 8 Impressive specs of its design. A new 3D printer from Next Dynamics is set to shake up the industry with a unique new design. The NexD1 (pronounced “next one”) will be on the market soon, so here’s the inside scoop on eight features that this DigiJet-inspired printer is going to offer. Next Dynamics is a hot new startup that aims to give advanced prototyping abilities to everyone by giving them fast, reliable and precise multi-material printing in a single machine. Their upcoming NexD1 printer, which uses what they are calling DigiJet technology, is based on an industrial printing technology called Polyjet™. Stratasys Polyjet developed a 3D printer that uses an innovative design that creates 3D printed objects by releasing droplets of liquid polymer and curing them into place with a UV light. Drawing inspiration from that design, Next Dynamics has produced a new 3D printer that is essentially a shrunken version of Polyjet™ technology, and it is set to advance the commercial market for these revolutionary new printing machines. The six cartridge/six print head system makes the NextD1 capable of printing with six materials simultaneously, meaning that it can deal with multiple colors, textures, and malleability in projects. The six-head system is capable of printing with a precision of up to 10 microns. To get a good frame of reference for how small that is, consider that the average human red blood cell is about 5 microns in diameter, which is about fifteen times smaller than the average diameter of a single strand of hair. Since the printer can work with multiple materials, it is capable of printing circuit boards directly into projects. Additionally, Next Dynamics will provide a copper-based solution, so users will be able to embed circuits into a fully finished piece from day one. At 20 cm x 20 cm, the NexD1 is slightly bigger than most commercially available 3D printers, but that is still small enough to fit on a desktop. Just make sure you clear off enough space, and you should have no problem installing it into your home or office setup. This one is necessary for home and office environments: The NexD1 has been reported to operate with a surprisingly quiet hum, as reported by TechCrunch. Controlling the printer will be a breeze. The printer features a touchscreen built directly into the device which has a UI that is simple and easy to use. The power cable will be the only thing you need to organize with this printer. Users can transfer jobs into the touchscreen UI through the NexD1’s built-in Wi-Fi transmitter/receiver. 8. The Unit Will Start Shipping Soon! The NexD1 is already on Kickstarter for those who want to pre-order their multi-material printer. If you pledge €3,288.00 or more, you can receive a beta NexD1 April 2017.